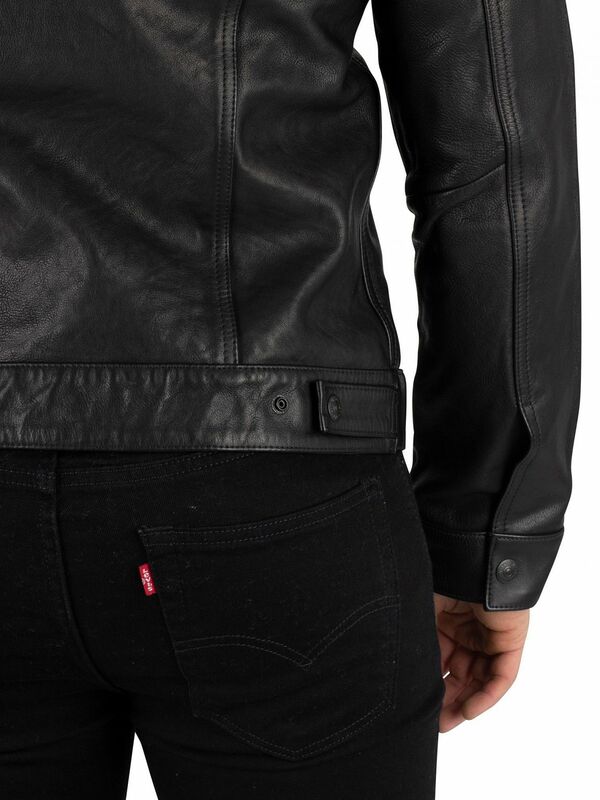 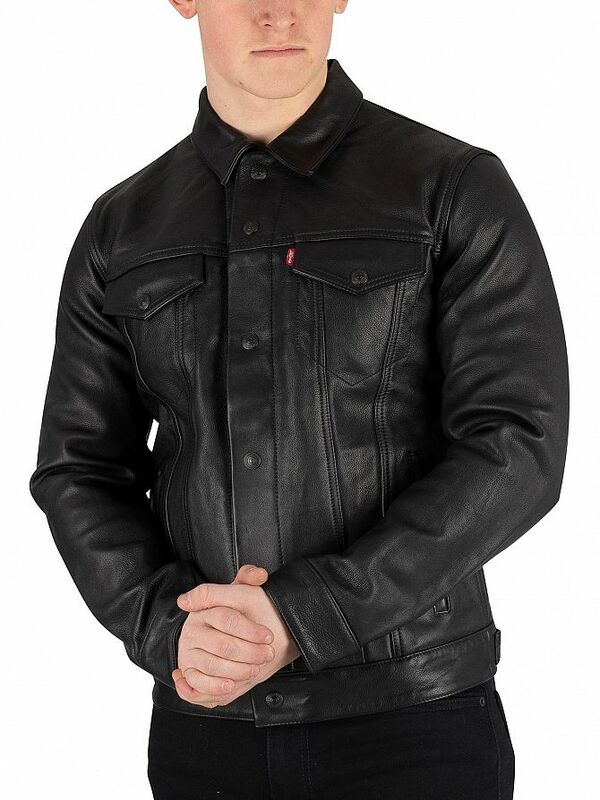 The Leather Trucker Jacket from Levi's comes with buttoned chest pockets, open pockets and buttoned cuffs, featuring a tag with logo on chest pocket and branded buttons. 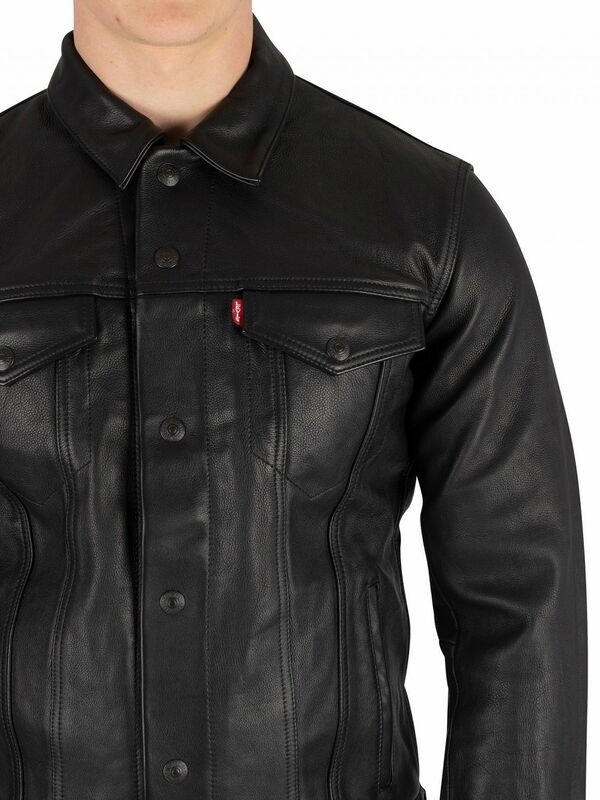 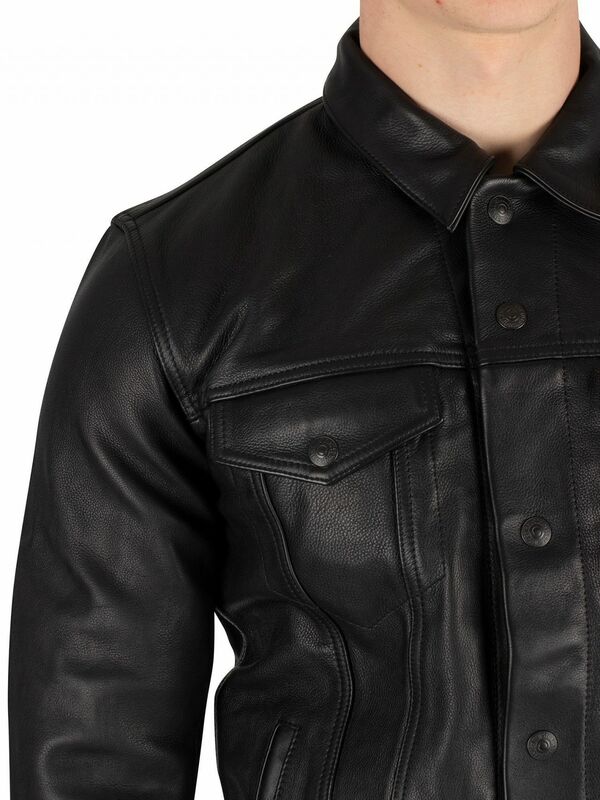 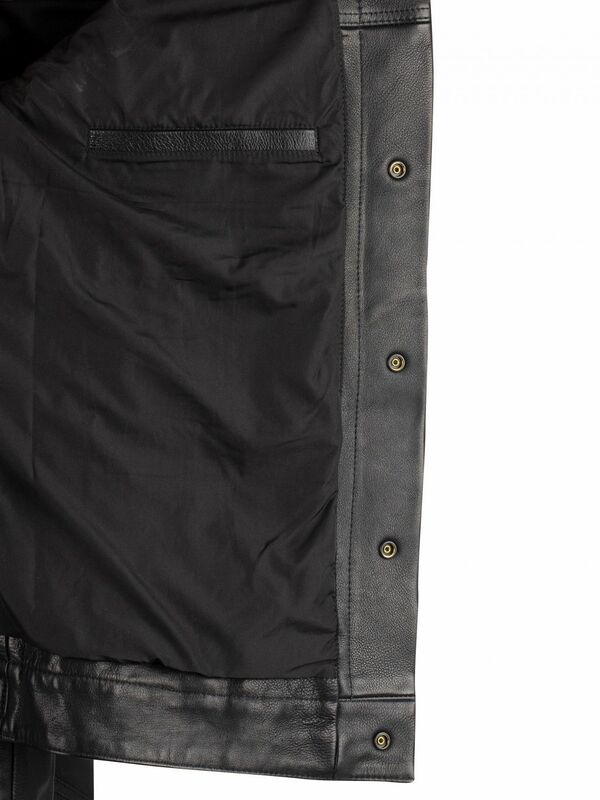 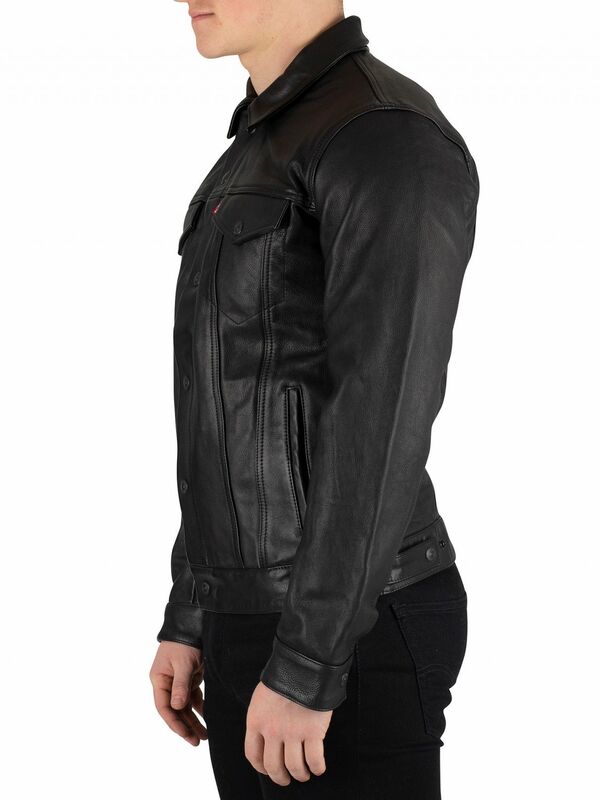 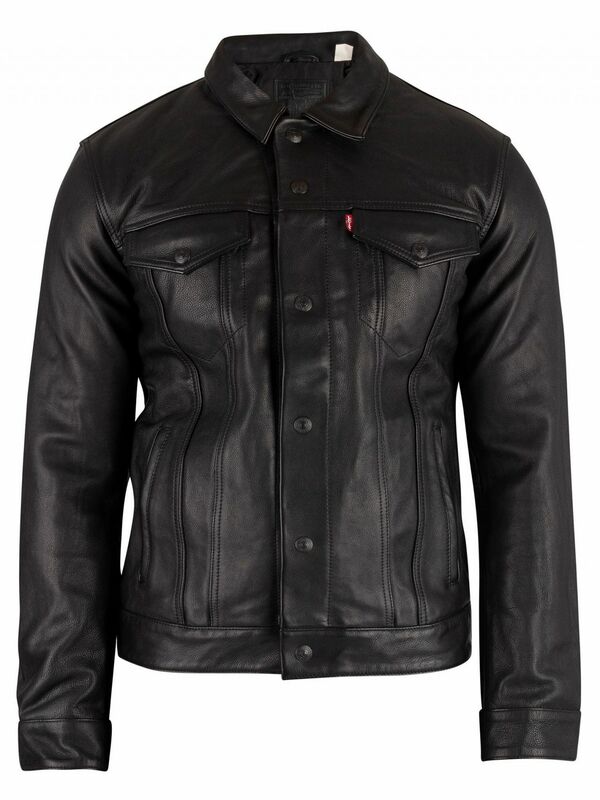 Coming in Type 3 Black colour, this jacket for men sports a spread collar, inside open pocket and popper button closure. 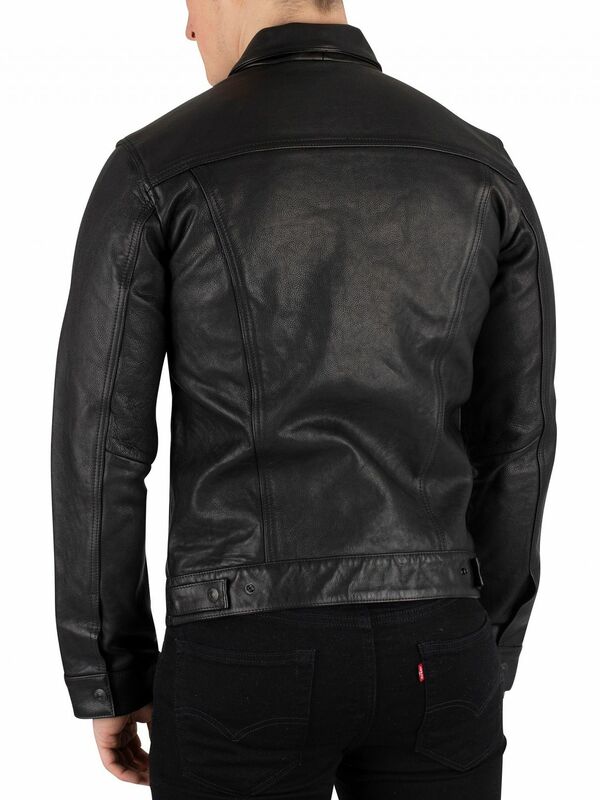 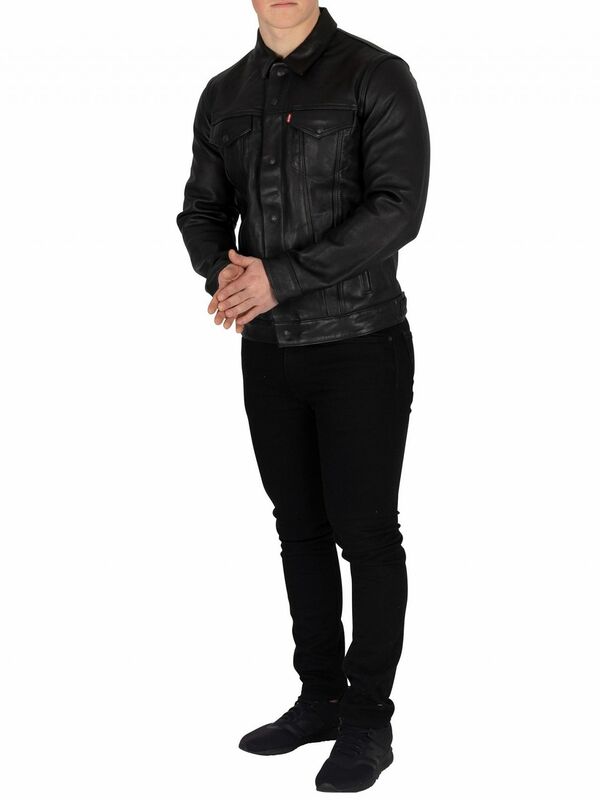 View similar Levi's or similar Leather Jackets.